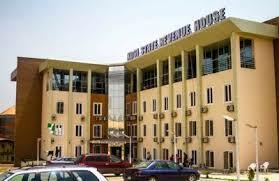 Kogi State Internal Revenue Service (KIRS) on Monday described the allegation that it diverted N3 billion as spurious and unfounded. Mrs Hassana Salahu, the Director of Administration and Corporate Affairs at KIRS, while addressing journalists in Lokoja said that the monthly revenue the state realised from Dangote Group was just N65 million. She said that the organisation’s revenue accounts are domicile in the governor’s office, denying the existence of any other accounts outside the ones approved by the government. Salahu explained that the Chairman of KIRS, Mr Yakubu Oseni, was not a signatory to any of the accounts, saying that the service operates cashless operations. The director said that the last time Dangote Group remitted as much as N1 billion to the KIRS was in 2016, saying that the amount was an accumulation of unremitted taxes for years. Salahu dismissed the allegation in its entirety, describing it as fake and hate speech. It would be recalled that the allegation by some section of the media that the service diverted N3 billion to illegal accounts had been circulated in some quarters for days.